This home offers all you need for a great holiday with family or friends. It is located an easy 5 minute walk to shops, restaurants and pubs. The lake is great for boating/fishing and water skiing and the mountain views are spectacular. Sunny bedrooms and open plan living makes for a very comfortable home. 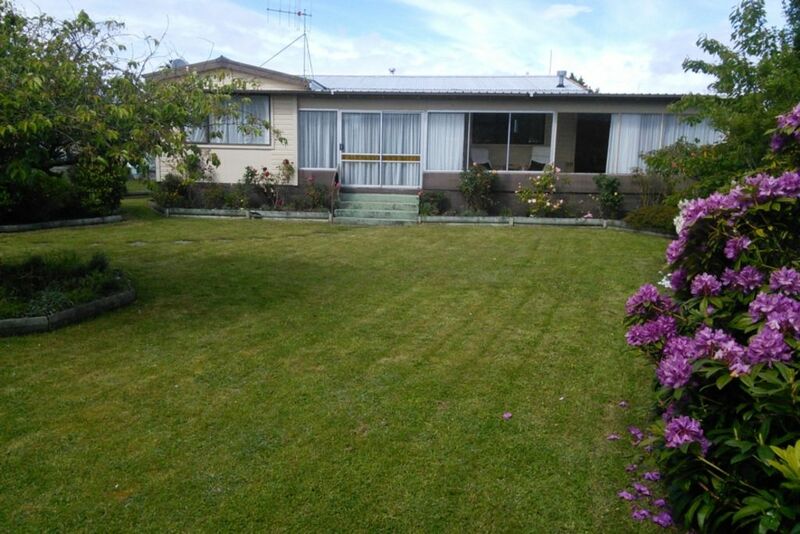 Rainy days - no worries - this lovely house offers plenty of outdoor living in the light and airy enclosed verandah which looks out onto the back garden where roses, kowhai and blossom trees abound. Nestled in the back garden is a spacious and comfortable cabin, containing two new single beds with pillows and quilts. It is fully heated with a heatpump to keep out the winter chill. It has its own covered verandah and entrance. This is an excellent addition to the accommodation for the larger family. We enjoyed our stay. It’s great house. It could be better if it has one more bathroom. Well located holiday home with everything you need. Really enjoyed our stay, very comfortable with lots of relaxing spaces and a nice gas fire for chilly nights, recommend this property. Walking distance to shops and cafes for those who don't have a car.